Hey ya'll! I'm taking a short break and missing out on the link-ups today but will be back next week I promise! My best friend Heather who was pregnant with twin baby girls went into labor at 27.5 weeks so I rushed to be by her side. Baby Maddie and baby Baylor were 2 pounds 6 oz and 2 pounds 8 oz. Mama is doing absolutely fabulous and so are those precious baby girls! Prayers needed for their safe journey home- they have a long road that starts now! More pictures to come soon! 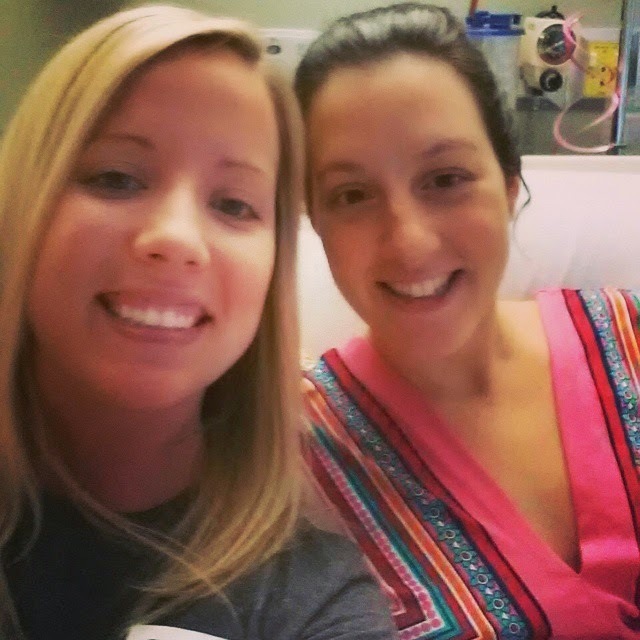 Hospital selfie with the new Mama! Congrats to your friend!!! Sending love and prayers her way! Aw congrats to your friend and her twins! So exciting! Congratulations to your friend and her beautiful babies! You are a great friend to be there for her! oh my goodness! so early - congrats to your friend, and hope everything is well! Oh wow! So glad the sweet babes and mom are doing well! Can't wait to see some pics! Congratulations to your sweet friend - thinking of those precious little babies!! Congratulations to your friend!! Saying a prayer for the family! Hope you're having fun visiting!